360 Realtors totally understand what the home seekers of today are looking for. Many of you are currently looking for the home that you want to be called as your own. Our team works towards it and make your search even more joyful. 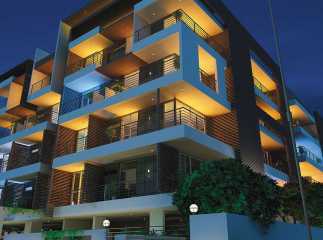 The property in Palace Road Bangalore is the recent project going to that is the real meaning of extravagance. We all know that home is the place which is cherished with lots of good memories that remain with us for a lifetime. The four walls comprise laugh, love, and happiness. Most of the time, our home become the reason to celebrate different occasions with your loved ones. Residential apartments in Palace Road Bangalore are the live examples of residential places which are perfectly situated in an ideal location. Each one of them has a design made by the skilled architects and constructed in the same manner. In another term, these are known as perfect dream homes. The 3 BHK flats in Palace Road Bangalore are available in size of 2500 and 2780 sq. ft. at the rate of 4.62 and 5.14 crores. Provided apartments are full of facilities that you can find anywhere else. Make the right move by consulting our experts who help you get the right kind of home.